Download a high resolution photo of Kate, here. 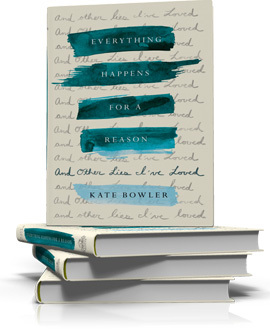 Download an image of Everything Happens for a Reason (and Other Lies I’ve Loved), here. 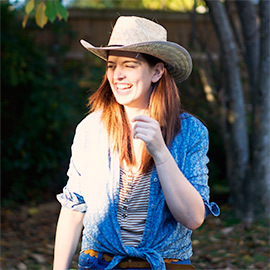 Kate Bowler, PhD, is an associate professor of the history of Christianity in North America at Duke Divinity School. She completed her undergraduate degree at Macalester College, received a Master of Arts in Religion from Yale Divinity School, and a PhD at Duke University. 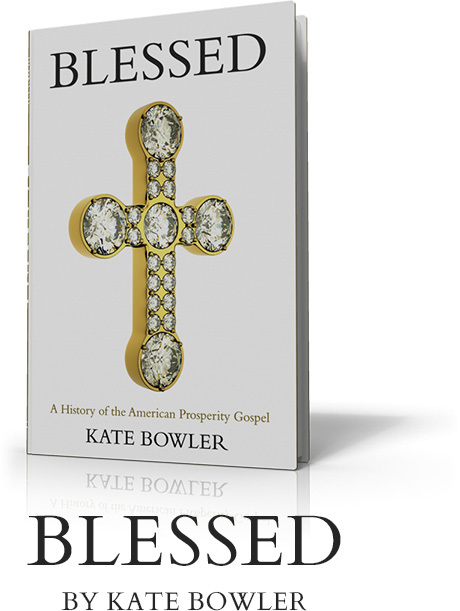 She is the author of Blessed: A History of the American Prosperity Gospel (Oxford University Press, 2013) whichreceived widespread media attention and academic praise as the first history of the movement based on divine promises of health, wealth, and happiness. She wrote the New York Times bestselling memoir, Everything Happens for a Reason (and other lies I’ve loved) (Random House, 2018) after being unexpectedly diagnosed with Stage IV cancer at age 35—a book Bill Gates lauds as “belonging on the shelf alongside other terrific books about mortality” and includes on his must-read list. 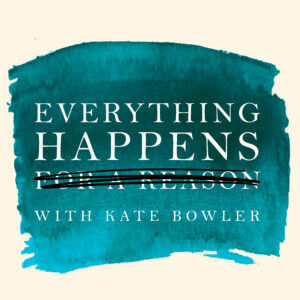 Dr. Bowler subsequently staged a national conversation around why it felt so difficult to speak frankly about suffering through her popular podcast, Everything Happens. She has appeared on NPR, The TODAY Show, The New York Times, The Washington Post, and TIME Magazine. Her work has been praised by a wide variety of religious and political publications, from liberal print media to conservative talk radio. She lives in Durham, North Carolina, with her husband, Toban, and son, Zach.